Few core competencies are as important to senior loss prevention executives as a proficiency in theft investigations. Whether it is knowing when to initiate an investigation, how to proceed with an investigation, or what to do with the investigative findings, most retail companies look to their senior LP executive for expert guidance. Obviously, developing a proficiency for investigating theft in the workplace is an important element in the growth and development of future loss prevention leaders. Unfortunately, many in our profession think that proficiency is measured by reaching an arbitrary milestone, such as the number of employees apprehended, the dollar value of the admissions obtained, or the biggest internal theft case resolved. However, proficiency is much more than reaching milestones. It is, according to one dictionary, “advancement in knowledge or skill.” Note that the dictionary description does not say “advanced,” it says “advancement,” which can be interpreted to mean that you cannot be proficient at anything for long unless you keep learning. This “advancement” in knowledge would make a great A word in this article if it were not so obvious. In fact, you have proven how obvious it is by reading this post. Clearly, you already possess one of the attributes necessary to become, or stay, a great investigator. So, what other characteristics, traits, and knowledge will it take to be considered proficient in retail investigations and reach your full potential? Following are a few answers. A—It takes the right Attitude. This may seem like a strange concept to start with, but it is probably the most important characteristic likely to influence your success as an investigator and how you are perceived within your organization. If you approach theft investigations with the attitude that your job is to prove the guilt of suspected employees, you have already failed. Great investigators try to prove the innocence of suspected employees. Think about this. If you try to prove an innocent person guilty, you stand a greater chance of missing, or ignoring, exculpatory evidence. If the person truly is guilty, and you have exhausted every possibility that they are innocent, you have not failed, you have been thorough. Isn’t that what your organization wants—someone who has a reputation for being thorough? The added benefit is that you don’t end up labeled as that loss prevention professional who is always trying to “get” someone. B—It takes positive Behavior traits. This is much more than “being honest,” “having integrity,” and showing up for work on time. Of course, these things are important, but great investigators make an extra effort to make sure that they have a reputation for keeping their word, maintaining confidences, and treating everyone with respect and dignity. Who wants to confide a suspicion in someone with a reputation for blabbering? The next time you are in the presence of a group of loss prevention executives telling their own “war stories,” notice who is listening, but not talking. Chances are it’s the best investigator in the group. D— It takes the ability to use Deception effectively. Some readers may find this term offensive in an article about investigating theft in the workplace, but the truth is that most LP programs have deceptive components. For example, we don’t have plainclothes store detectives wearing name tags because we want shoppers to think of them as ordinary shoppers. We don’t identify which security cameras are real and which are not because we want customers and employees to believe that all are real. During an integrity interview, we try to create the illusion that we know much more than we really do. Each of these practices is intentionally deceptive, and yet there is nothing wrong with them. When it comes to theft investigations, many tried-and-true investigative techniques can be characterized as deceptive. A controlled delivery on a phone or online order depends on deception. Name, address, and phone number verifications often depend on the ability of the investigator to pretend to be someone he or she is not. Investigative fact gathering under the guise of a routine audit is naturally deceptive. Great investigators understand when it is acceptable and appropriate to use deception (within the parameters of their individual company policies) and, most importantly, when and how it is not. For instance, great investigators never allude to nonexistent evidence or misrepresent themselves as law enforcement officers. E— It takes a very good understanding of Entrapment. Many aspiring and well-intentioned investigators have inappropriately used enticement as a means to resolve their suspicions. The placement of new watches in a fitting room to catch cleaning staff during an early-morning surveillance is just one flagrant example. Avoiding claims of entrapment by determining when it is appropriate to recreate a common occurrence under controlled circumstances, and preparing the necessary documentation beforehand, is just one of the many marks of a great investigator. F— It takes the ability to distinguish and establish Fact from Fiction. Investigators routinely receive information from a variety of sources. Those who take investigative shortcuts by conducting integrity interviews on the basis of secondhand information, suspicions, rumors, innuendoes, and hunches will have more difficulty becoming proficient in investigative techniques. I understand that in some companies a lack of resources and/or geographical considerations make it necessary to conduct integrity interviews without conducting thorough investigations beforehand. In my experience, “investigators” working in these circumstances become great interviewers. However, sooner or later they face suspects who are innocent of wrongdoing and others who are simply unwilling to confess. Returning these interviewed employees to the workforce can have a detrimental effect on your overall loss prevention program. Innocent employees who feel that they are not trusted, or think that loss prevention is trying to “catch” them doing something wrong, are less likely to be enthusiastic and cooperative members of your store shortage-reduction team. It is the investigator who actually knows how to prove facts who has the advantage over the “investigator” who relies upon his or her interviewing ability alone for success. G— It takes a Global view and understanding of the retail business. It is okay to become noted for being the investigator most familiar with POS systems or the investigator with the most in-depth knowledge of credit systems as long as it does not detract from your ability to become a generalist in many other retail disciplines. Look at your company directory. Go down the list of departments and ask yourself: “If an anonymous caller left a message for me today saying that Susie Smith or John Jones “who works in the [insert from list above] department is stealing from the company,” where would you begin? If your answer is that you would find out what they do in that department and how a dishonest person might steal, then you have just identified an opportunity to expand your expertise. Don’t wait until there is a need to know to take advantage of this opportunity. H— It takes knowing when and whom to ask for Help. As is evident from the list of your company departments, you can’t possibly know everything there is to know about your company. There will come a time when you need the help of someone who knows more than you do. Developing sources for educational information and using them in a manner that does not compromise an active investigation is a skill requiring continuous attention. Nothing spoils the element of surprise like having a whole department talking about an investigation a week before you are ready to conduct an interview. I— Some people will say that great investigators have an Instinct or a sixth sense for dishonest people and/or behavior. If you define “instinct” as the interpretation of sensory input below the conscious level, this can be true. However, detecting dishonesty is not a “natural instinct” comparable to the survival instinct or a maternal instinct. The investigator’s instinct is actually something that can be learned and developed with experience. Some investigators describe instinct with the acronym JDLR, for “Just Doesn’t Look Right.” This is partially correct but does not go far enough because this acronym only addresses one of the five senses—sight. Great investigators learn to use and interpret input from their other senses as well. The sound of a door opening or closing, a change of temperature felt, or the lingering odor of perfume can, in certain circumstances, be interpreted as a potential clue. The best sources for additional examples– recommended reading for all aspiring investigators–are the Sherlock Holmes stories written by Sir Arthur Conan Doyle. J—It takes the ability to Jump. Not in the vertical leap sense or through a hoop, but in the sense of making an abrupt change or transition. Theft investigations are often unpredictable and require a degree of flexibility uncommon in most workplace tasks. Those who get flustered when a schedule changes at the last minute, or who suffer anxiety when everything on the to-do list for the day isn’t accomplished, generally struggle in their capacity for investigating theft in the workplace. L—It takes the ability to Listen well. This means more than just hearing what is said. Listening requires interpretation. 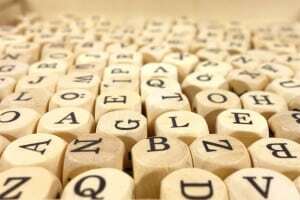 Linguists estimate that there are over 800,000 words in the English language and that the average English-speaking person has a vocabulary of fewer than 25,000 words. The words a person chooses to use and the way they are put together can be revealing to an experienced investigator. For example, which of these sentences is the most unequivocal? In most cases the investigator will need to ask follow-up questions when receiving one of the first two replies, whereas the third statement unequivocally tells you that the person did not see who took it, does not know who took it, and did not take it themselves (unless, of course, they are being untruthful). Listening is not only the interpretation of words and grammar; it can be the interpretation of the absence of sound. For example, suppose you are walking by a sales associate who appears to be ringing up a sale for a customer. As you pass by, the sales associate abruptly stops talking and then resumes when you appear to be beyond earshot. Although this is not evidence of guilt, it can certainly be interpreted as unusual behavior and may warrant a later inspection of the transaction and further observation of the associate. M— It takes the ability to think and analyze Methodically. Those who steal and perpetrate fraud often establish detectable habits and patterns. Investigators who practice looking for patterns, order and a sequence of events become more successful because they are more often in the right place at the right time. Here is a simple example. Your cash office has experienced a cash loss in excess of $400 on each of the following dates so far this year: January 12, February 10, March 10, April 12, and May 11. Based on this information, on what date will the next loss occur? The answer, along with one possible explanation, is provided at the end of this article. N— Great investigators are inquisitive, but some would say Nosy. Because the term “nosy” often has a negative connotation, I prefer to refer to this trait as inquisitive. No matter what you call it, the point is the same—investigators like to know answers. So much so that most, if not all of you, have already gone to the end of this article and read the answer to the question in the last paragraph. O—It takes excellent Observation skills. Not just while you are on surveillance, but at all times. For instance, did you notice that there is no K word between “Instinct” and “Jump” earlier in this article? I discarded the idea of using “kenspeckle,” even though it is a great 20-point word in Scrabble, in favor of testing your observation skills (and because I could not think of another K word). Seriously, though, are you likely to notice the tractor-trailer with your company name on it sitting at a highway rest stop as you drive by on your way to work? If there is a pickup truck backed up to it and men loading boxes on it, are you going to notice? Great investigators are observant even when they are not at work. P— It takes Passion to achieve great success when it comes to investigating theft in the workplace. If you like what you do, strive to be the best, expand your knowledge, learn from your mistakes, and have fun, great success is within your grasp. Forget the remaining letters. When you’ve read this far, you are excused from the quiz. The next cash theft in excess of $400 will occur on June 10, and here is why: the person is stealing cash and purchasing a money order on the way home to send to the finance company holding the note for his or her vehicle. The monthly payment is due on the fifteenth of each month, and the finance company is closed on weekends. A late fee will be charged to the account if the payment is recorded after the fifteenth, so the thief is mailing the money order the day after the theft. This puts the payment in the hands of the finance company three business days after the theft and before the sixteenth of the month. This article was originally published in 2005 and was updated May 22, 2018.